It is one of today’s popular and best all-around street bike helmets in the market. 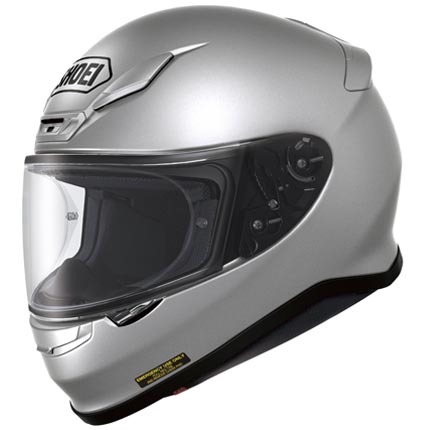 RF model helmet helped the Shoei industry to get the great reputation both from the market and from the consumers. This helmet embodies the saying “solidly built” is designed for sport riding, touring and commuting. It is designed to be smaller, lighter and stronger shell, with its desire to be more compact and more efficient helmet. 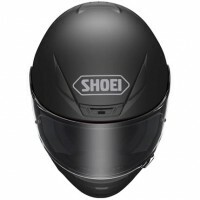 Pros: The Shoei RF-1200 helmet’s four shell capacities are guaranteed to be customized and to be fit. It has Max-Dry System which absorbs and dissipates sweat. This serves to be a good pick for long distance riding. It has a high percentage for safety because of its shell design that is built to become lighter and stronger for its purpose to save a life when accidents occur. It has aerodynamic system which deals with road and wind noises during the ride. Cons: In the Max-Dry System that absorbs sweat for a long way ride, it may produce body odor. The helmet can be modified according to your own preference, but you should think first before you do the act. The Shoei RF-1200 helmet defines the good quality from the liner to the air vents to the face shield locking. 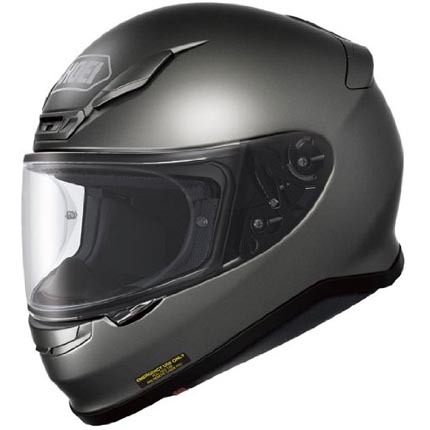 For the rider limited to one helmet, the RF-1200 is best known for its excellent safety, comfort and style. It is almost suitable for any type of bike because of its shape design and a huge availability of colors and graphics. The shell shape is both stable at speed and quiet. Also, the shell has four sizes to ensure a custom fit. The inner comfort is helped with 3D shaped padding that is plush and easily customizable and replaceable. A Light Weight Multi-Ply Matrix AIM Shell Construction is smaller and lighter but stronger shell design compact. The noise reduction system with aerodynamic which paid attention towards wind noise reduction without blocking road noises. A dual density EPS liner which provides more compact design without compromising ventilation flow. As a result of rigorous wind tunnel testing, the ventilation system of RF-1200 is superior. For the safety, it includes breath guard and chin curtain. 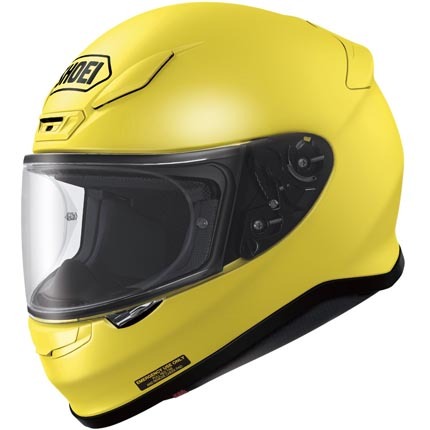 In case of accident, it has an Emergency Quick-Release System which allows emergency medical personnel to easily remove the cheek pads of the rider’s helmet. The helmet has a large lower three-position vent, three upper vent intakes and four unique positioned upper exhaust outlet vents. 3D Max-Dry System II Interior Center pad components are three-dimensionally shaped to match contours of the riders head, provides comfortable fit while maintaining a firm hold for high-speed riding. For a long ride travel, it has Max-Dry System II liner material which quickly absorbs and dissipates sweat and moisture. 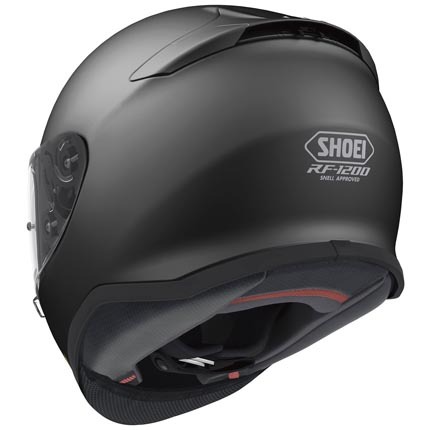 The Shoei RF-1200 helmets are light and it provides the finest look for the rider. The RF-1200 Helmet has evolved the quest of excellence to an all-new level and it is one of the best motorcycle helmet today. With the solid-shaped design and its multiple selectable colors and graphics, the rider will get what he or she is looking for – satisfaction. As stated above, it is appropriate for sports riding, adventures, touring and commuting. It can be applied in most type of motorcycles. This helmet is a Full Face type which has a great safety level for the rider and it is tested, approved and certified with DOT. Like other helmets, this is also user-friendly which is open for customizing by the way you wanted it to be. Some owners put a Bluetooth wireless headset on it, but the most important feature to maintain is to be a life saver.